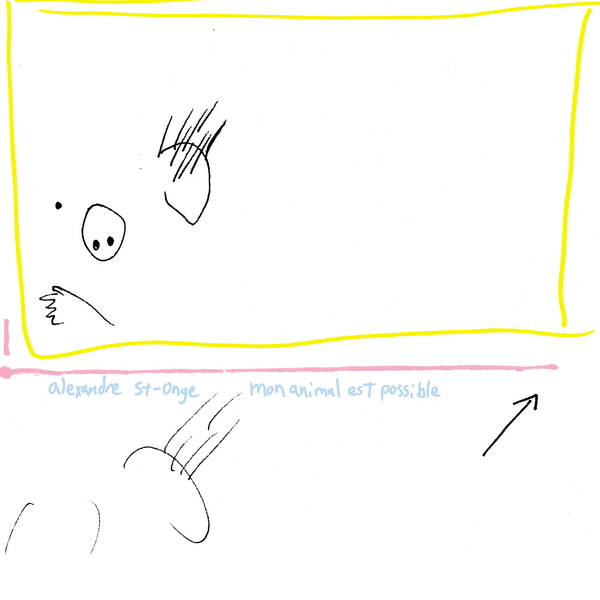 Alien8 compare Mon Animal Est Possible to Jean-Claude Vannier's visionary experimental opus L'Enfant Assassin Des Mouches and by no means is it an unfounded reference to make. The combination of vintage electronic sounds and extravagant strings on 'La Passion De La Transparence' make a convincing case, and the moaning, sexualised vocals (by St. Onge and his partner... who's improbably, yet appropriately named Fanny) only add to the playful and surreal air of the avant-garde at the heart of all this. These odd, disembodied vocals are something of a recurring theme throughout the album, and in combination with the retro oscillator sounds and fluttering synth tones they make for an appealingly confused blend of abstract psychedelia and more academically geared tape music.